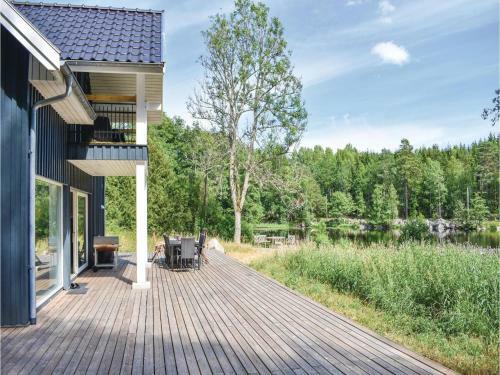 Four-Bedroom Holiday Home in Tingsryd is situated in Tingsryd. The accommodation features free WiFi. This holiday home comes with 4 bedrooms, a TV, and a kitchen with a dishwasher. The property has a hot tub.